Yesterday, he had it all, a beautiful woman at his side, more money than he knew what to do with, and a real shot at the Oval Office. Today, he's a murderer. Yesterday, she was America's sweetheart; the wholesome first daughter of a beloved former president, a rising star without so much as a whisper of a scandal attached to her name. Today, she's an accomplice.Vanessa doesn't know why these words flew out of her mouth when Charles is accused of murdering his wife in cold blood, but she's said them, and she isn't taking them back. "He was with me all night. 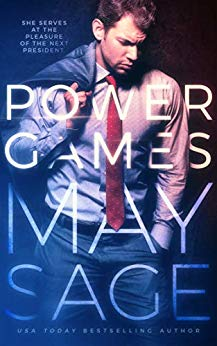 "Power Games is unsuitable for sensitive readers.